We're off to do some Panettone shopping in Carlton and since we're in the neighbourhood a visit to La Luna is in order. 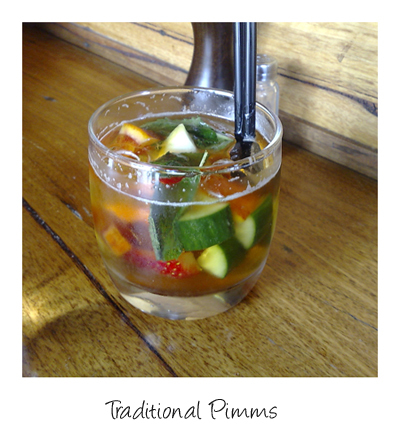 My notion of enjoying a refreshing Pimms was smashed by the rather poor offering presented. Served in a tumbler rather than a highball, if we remove the ice and diced fruit and veg, there's not much actual beverage to enjoy. 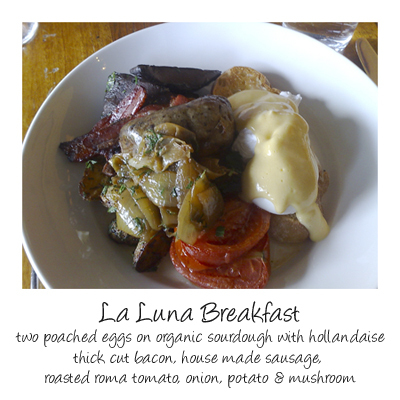 The menu seems to be stuck in winter mode, with mashes and the like, so finding something suitable for the weather proved a little difficult, eventually we settled on some brunch options. 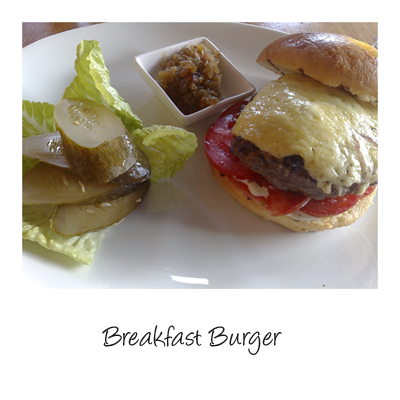 Served on a brioche bun, a well flavoured patty, still juicy, topped with cheese. The chutney/relish wasn't particularly pleasant, the tomatoes rather flavourless. A plate of hits and misses - the eggs were wonderfully poached, lovely and runny. The house made sausage was dense and well flavoured and while the bacon was tasty, it didn't possess the sizzle of something that had just come off the heat. All up this visit hasn't lived up to our previous experiences which is disappointing.